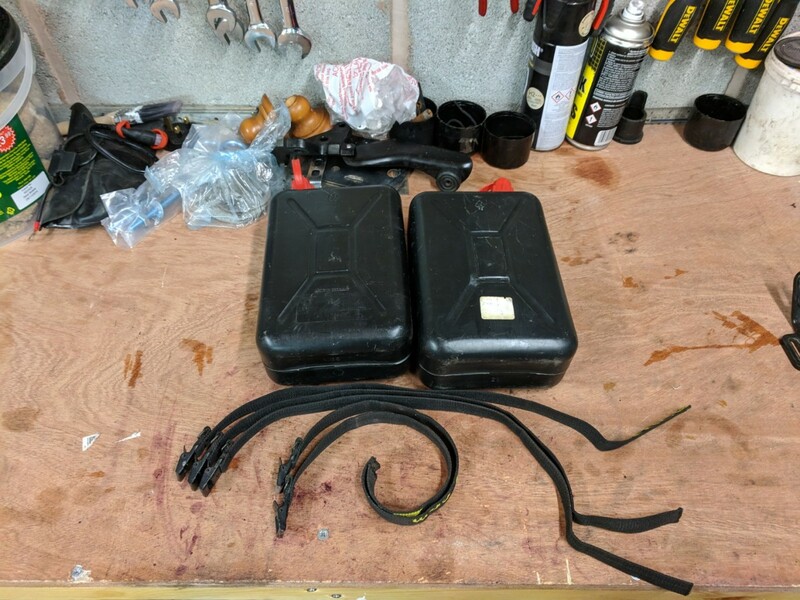 2x Petrol / oil Containers with mountings on the panniers. I'm only selling as my new bike came with panniers attached. 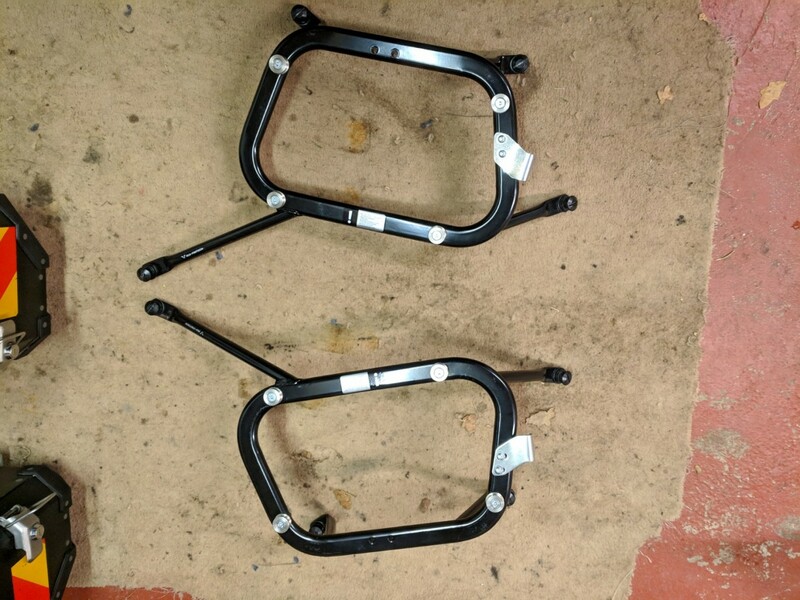 Please could you let me know if they are balanced or offset when on the bike and, in either case, what was the width of the bike with them fitted? Thanks. 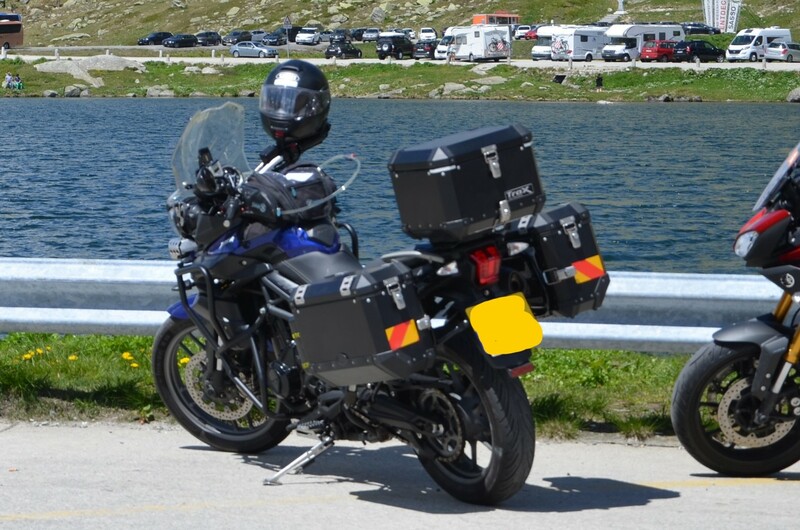 The panniers are balanced, they are both the same size box and stick out the same distance from the bike. 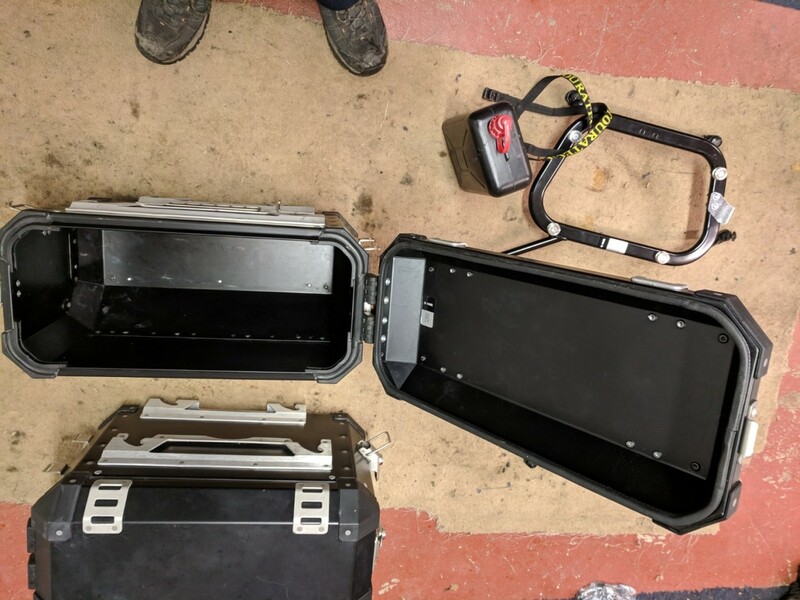 I haven't got these fitted to measure properly but fitted the total width would be 1m, this is about the same as the handle bars and mirrors. I have filtered with these on with no problem. Hi. 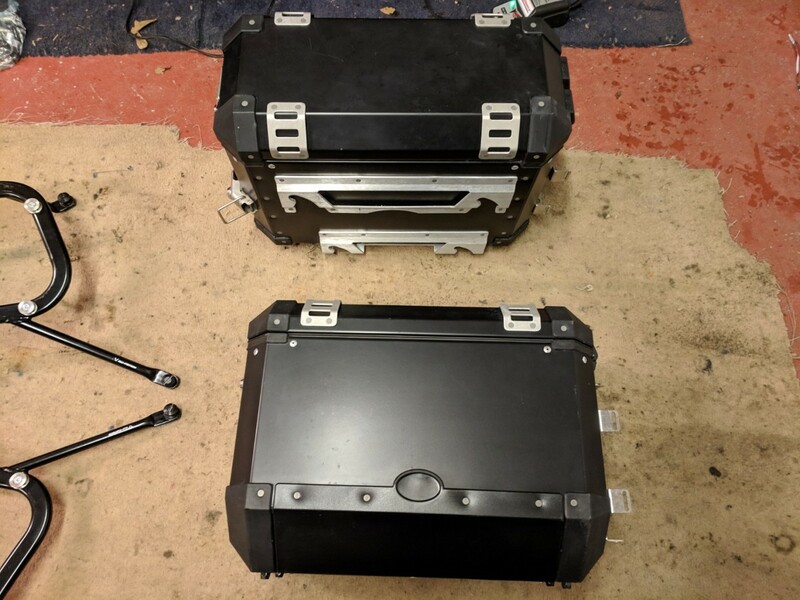 Are the locks and keys for the cases ok? 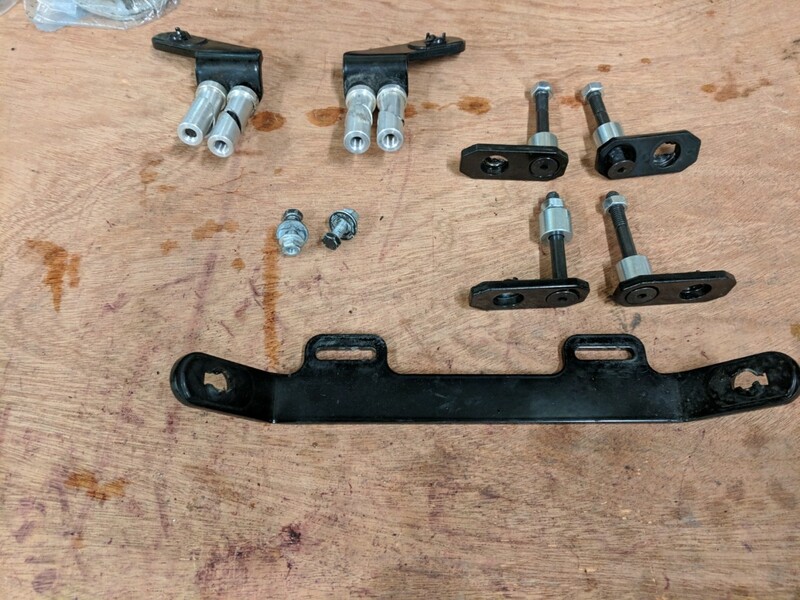 Your photos don't show the frame attachment lugs; can I presume you have them but just not shown? Do you have frame locks? I am interested in all the items. Where abouts are you in England? I may be able to collect. Thank you for your response and sorry for the delay in getting back to you. Do they fit with the standard exhaust or does that need to be changed for something smaller? Thanks. 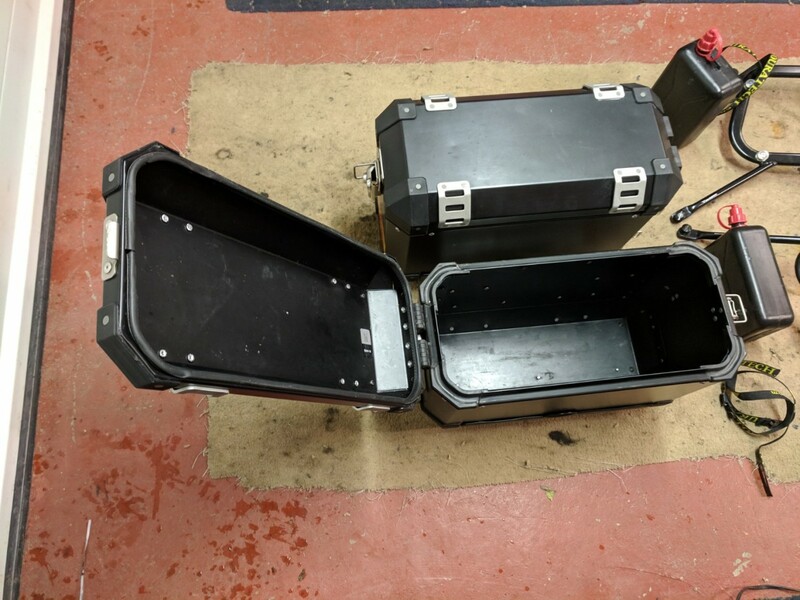 Hi the cases have locks on them, at the moment I only have one key but I will get a second cut. The frame attachements are quick relaease, the rest of the fitting kit is shown in the picture attached. I've always had an arrow exhaust on with these but I'm pretty certain they will fit with the standard exhaust.